If you’re looking for ideas and inspiration to refurbish or redecorate your home or apartment look no further than the Ideal Home Show. Celebrating its 106th anniversary, the annual Ideal Home Show features hundreds of exhibitors, interactive zones, and the latest trends in helping you make your home as beautiful as you want it to be. There are seven dedicated show areas catering to every need and taste. In the Interiors area you’ll find the latest trends in furniture and fabulous decorating ideas, while in Home Improvements you can get expert advice and look over thousands of products and solutions to help you start your home makeover. The Food & Housewares section features fantastic food stalls, so you can try samples from across the world, while looking at the newest kitchen gadgets. Men will no doubt head directly to in the Technology section where they will find the latest in entertainment, gaming and home gadgets, and maybe even get a chance to meet the lovely Suzi Perry who is the Technology Ambassador. Dedicated to the ladies is the Woman’s area, where there are beauty and cocktail bars, so you can catch your breath and relax while discovering the latest in beauty products and fashion trends or you can head to the shopping area to buy some beautiful home accessories, stunning gifts, toys and even new technology. For those who have green thumbs, the Gardens section will no doubt be right up your alley with alluring ideas to improve your garden, patio or even your window boxes. There’s also the Show Homes, that this year for the first time ever, will allow members of the public sleep over in the fabulous Multi-Generation Home styled by House Beautiful. 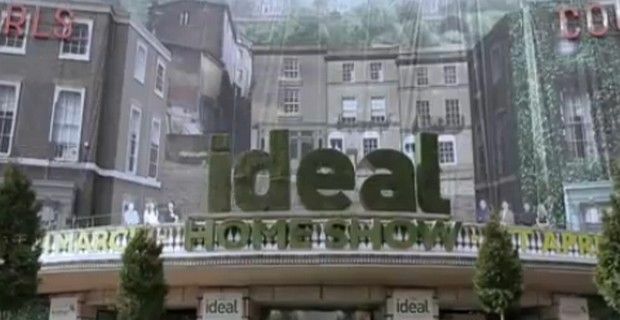 The Ideal Home show takes place March 14th to the 30th at Earls Court Exhibition Centre from 10am-6pm daily and Thursdays till 9pm.